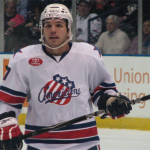 Bonneau and Duco Fight Videos vs Penguins · Let's Go Amerks! After Clay Wilson scored in the first period to give the Amerks a commanding (at the time) 3-0 lead over the Penguins it was only a matter of time before we saw a fight. The Penguins were going to be looking for a way to change the momentum of the game and sometimes a fight can help make that happen. It only took three seconds after that Wilson goal for Jimmy Bonneau and Aaron Boogard to drop the gloves. 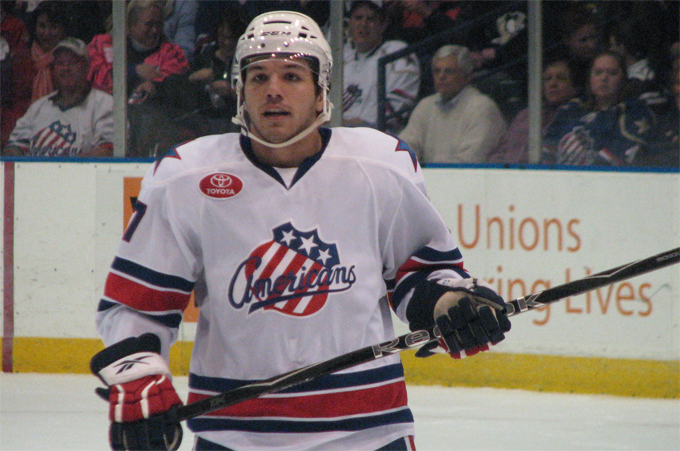 At 6:17 of the second period with the Amerks still leading 4-0 we saw Mike Duco go at it with Tim Wallace. Neither fight changed the momentum for either team. The Penguins were clearly the team trying harder in the 2nd and 3rd periods but the fight had nothing to do with that, it was more like an Amerks team on cruise control. Enjoy the videos and share!